The extended learning academies serve high-risk youth grades who primarily reside in the 38126 and 38106 zip codes of Shelby County in Memphis, TN. KQ assesses students and researches best practices toward mastery of academic learning concepts. 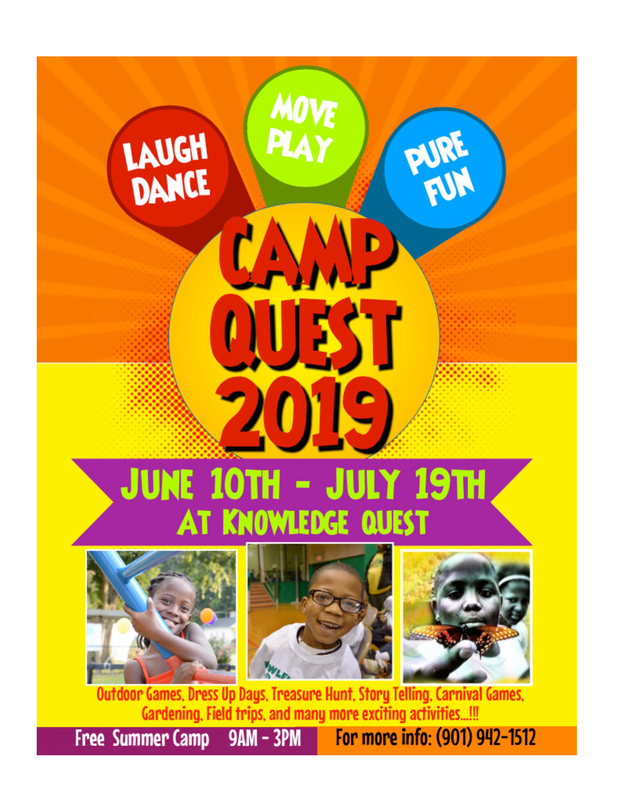 Knowledge Quest’s Extended Learning Academies are open enrollment, non-fee based programs that work to promote academic excellence, social emotional competency, and healthy lifestyles in an after–school setting. The KQ Extended Learning Academies serve students, Pre–K through 12th grade, across three campuses. 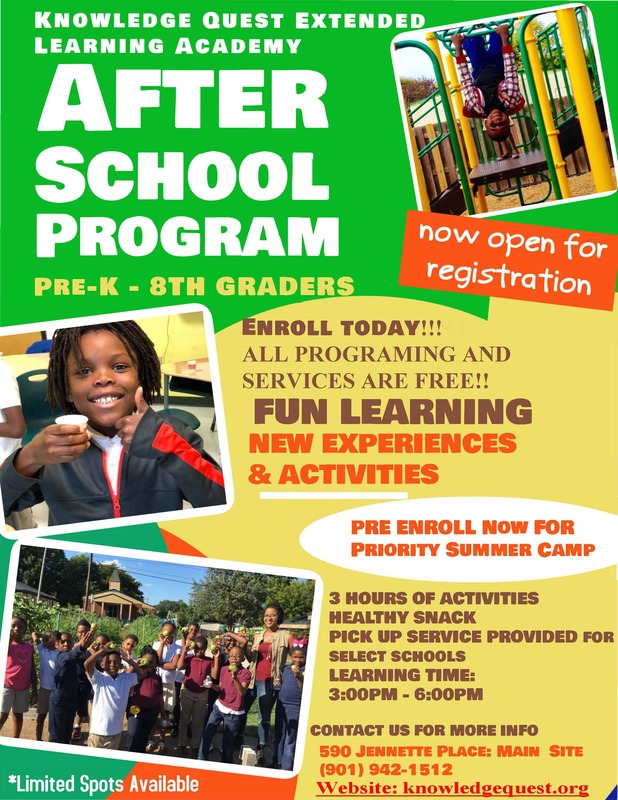 The program models for the ELAs are based on four core activities: homework tutorials, “Adventure Education” (Science, Technology, Engineering and Mathematics (STEM) and Reading Language Arts), good health and nutrition, and recreation.